A range of steel guide bushes to guide the router when using a template. Fits directly to Trend T3, T4, T5, T5 Mk2, T10 and T11 and some other light duty routers. See compatibility chart from the link below. 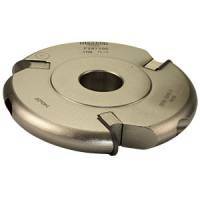 Will fit other makes of router when used with Circular Sub-Base (SBC001-SBC007) or Unibase (SBU001).